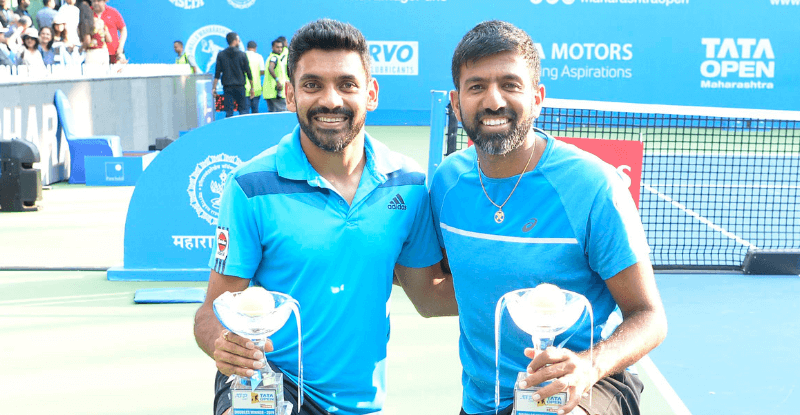 Day Three of the Tata Open Maharashtra saw World No. 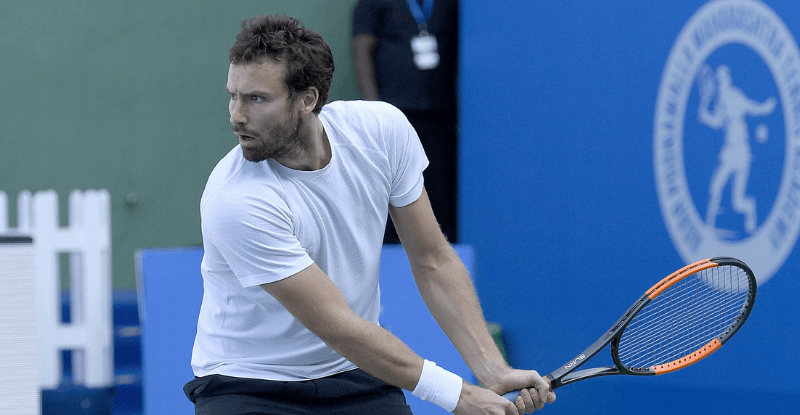 95 Ernests Gulbis cause an upset against second-seed Hyeon Chung to progress to the Quarter-Finals of the singles competition here on Wednesday. The Latvian defeated the World No. 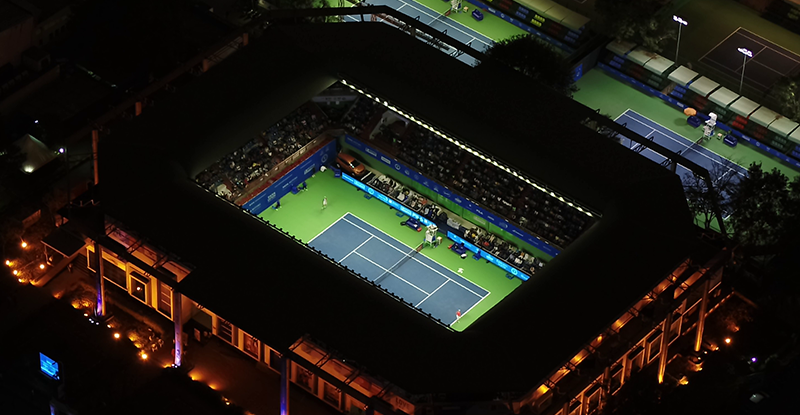 25 South Korean in straight sets 7-6, 6-2 in their second round match held here at the Mhalunge Balewadi Stadium. 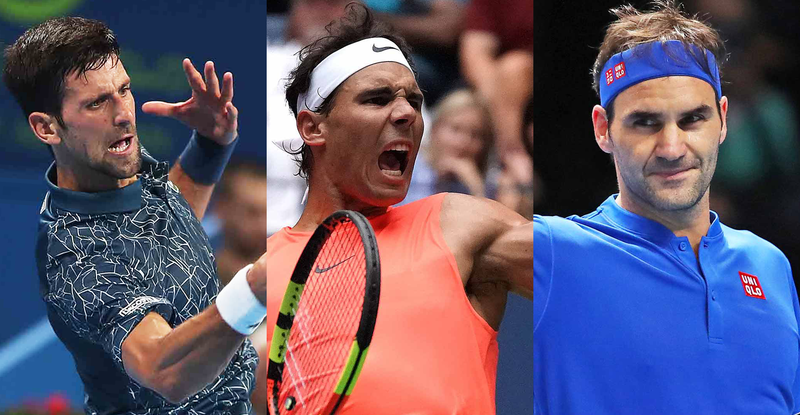 Top-seed and World No. 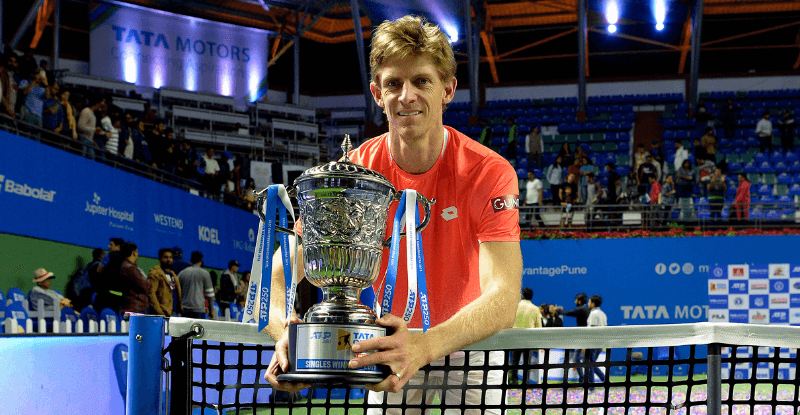 6 Kevin Anderson also secured his berth in the Quarter-Finals as he defeated 23-year-old Laslo Djere in straight sets 7-6, 7-6. In the first of four big singles matches of the day, it was Gulbis who came from four games down in the opening set to win in the tie-breaker and turn the momentum in his favour winning the first set 7-6. Gulbis used his first serve to his advantage, winning 23 points which included eight aces during the entire match. 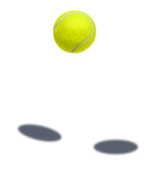 Whereas, Chung seemed to have lost confidence after going down in the first set and could not return well enough to stay in the match as he lost out the second set 2-6 in what was a disappointing display for the 22-year-old. "I thought I had a good start in the first set but I started to lose points and it became tough to comeback then, but I will need to improve in the coming season and hope to come back here next year," said Chung after the defeat. 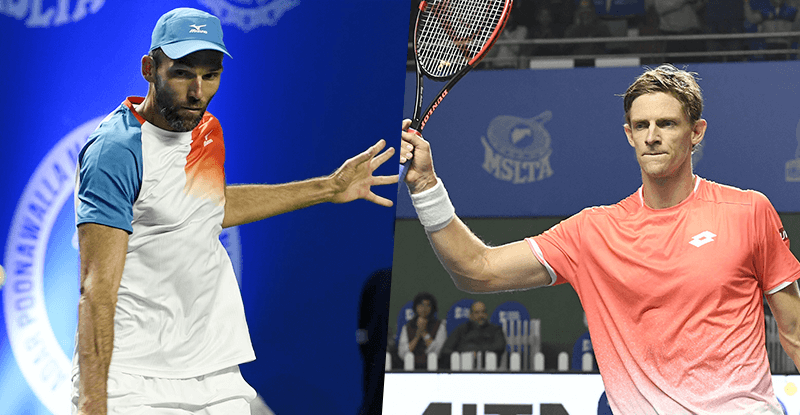 While 30-year-old Gulbis did not mince words in analysing his performance, "I think I started slow and he (Chung) was much better in the first set but I managed to comeback to save the set from 2-5 down and the rhythm helped me in saving the match." But Anderson was given a tough fight by World No. 93 Laslo Djere as both the sets went into the tie-break. 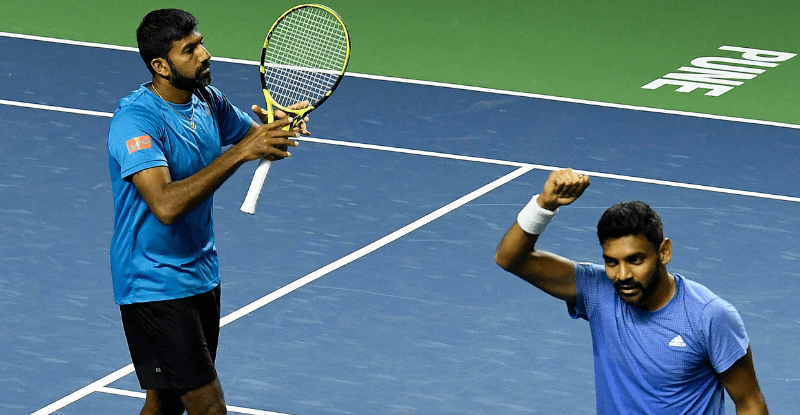 The 32-year-old South African secured the first set by winning the tie-break 7-3, while the second set was equally challenging for him with Djere pushing hard. 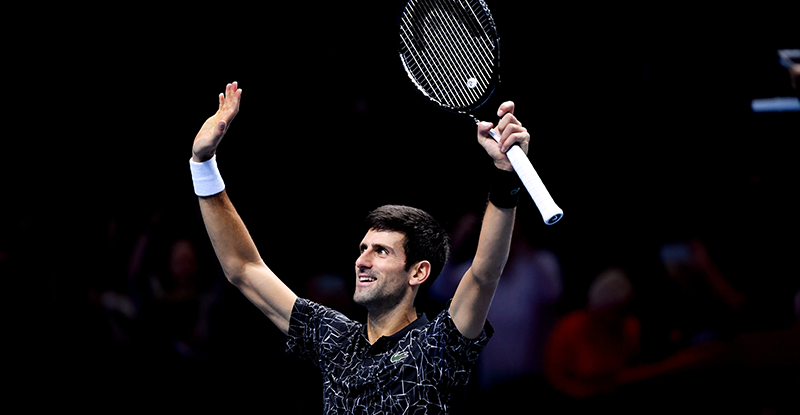 But it was Anderson who held his nerve and won the match in straight sets, serving a total of 20 aces in the process. Fifth-seed Benoit Paire was in cracking form as he wrapped up his second round match against World No. 89 Jiri Vesely in straight sets 6-4, 6-2. 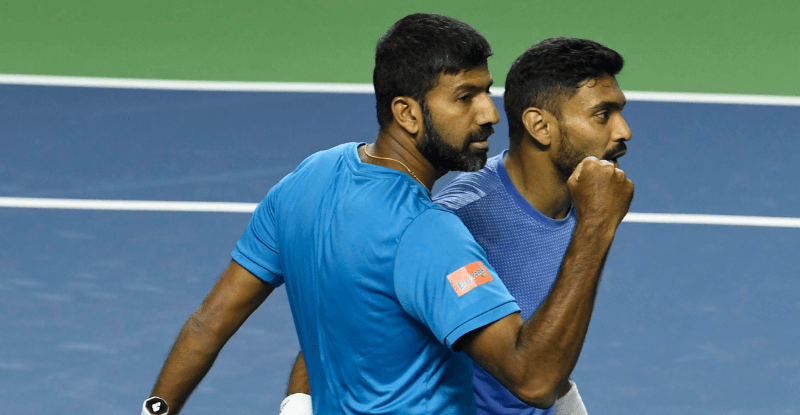 The 29-year-old Frenchman had to overcome a tough challenge from Vesely in the first set as the scores were tied at 4-4 after eight games, but Paire was up to the task as he won 20 out of 22 points on his first serve and served 11 aces during the match to produce a dominating performance. World No. 81 Jaume Munar also produced an impressive performance as he made his way through to the Quarter-Finals by defeating World No. 141 Simone Bolelli comfortably in straight sets 7-5, 6-0. 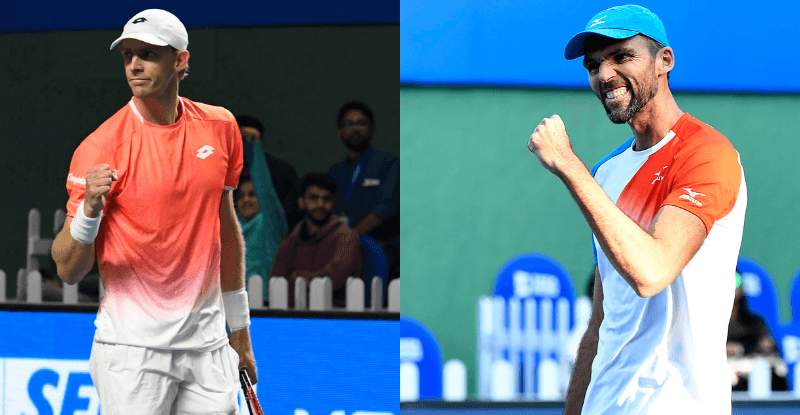 The oldest player to take part at the Tata Open Maharashtra, Croatia's Ivo Karlovic also progressed to the next round with a two-set victory over World No. 97 Evgeny Donskoy in a match which lasted just over an hour.